Today, your employees expect and need seamless collaboration. Avaya devices deliver. They’re fully integrated with our UC solutions to maximize productivity and your UC investment. This compact and portable personal speaker phone fits inside your briefcase—take it along for easy conferencing anywhere. Crystal clear sound and easy-to-use audio conferencing for small to midsize offices and conference rooms. Simple and smart productivity features for board rooms and large conference rooms—a very versatile solution. Take this full-featured conference phone anywhere in the office—no need for phone jacks or power outlets. Easily extend room coverage with expansion microphones, PA interface, or wireless headsets. Great for any size company. HD quality audio and productivity enhancing communications features for midsize and large conference rooms. Instantly turn any space into a dynamic collaboration experience that delivers wireless access and HD video quality. 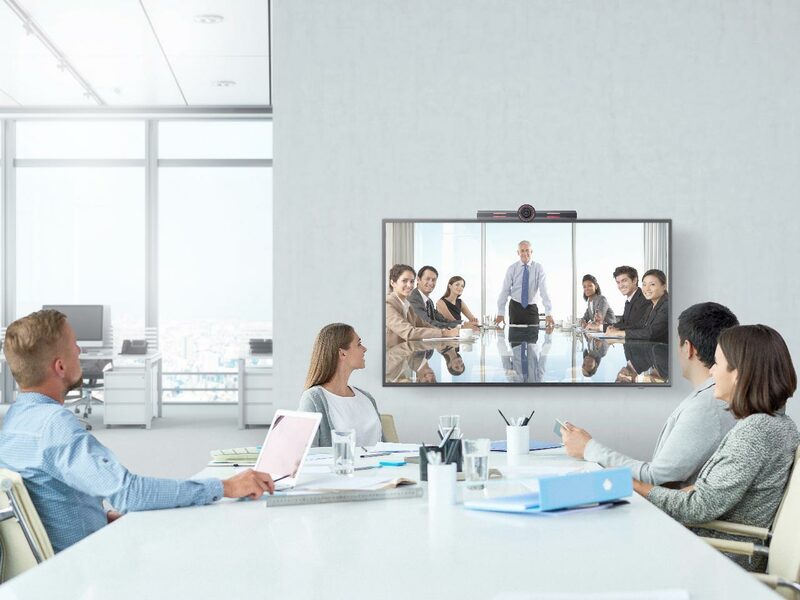 Take advantage of your conferencing investments with simple access and usability, along with the exceptional audio and video quality you expect from Avaya. From large video rooms to portable huddle rooms, to your desktop or mobile device, your teams can collaborate anywhere with the right solution for the right environment. You can take advantage of Avaya’s robust video platform while still leveraging existing assets. Our solution is interoperable with other systems for more flexibility and cost savings. Now any huddle space can become a cloud-enabled collaboration room. The Avaya IX Collaboration Unit is easy to set up, easy to use, easy on the budget—and it’s built for the cloud. Bring HD video, the simplicity of wireless connectivity, and everything the cloud has to offer to your small meeting spaces. Use Huddle as a Service to move your huddle spaces into the cloud on a comprehensive subscription model.